Get manufacturing companies database of all industries. Fundoodata provides various types of manufacturing companies database including agro, food, chemical, automobile, aviation, auto ancillary, beverages, bio-technology, cement, chemical machines, aviation, construction machinery etc. Do you want to connect with service industry? Fundoodata provides all types of service companies database including educational consultants, financial services, golf course services, healthcare services. There are many advertising and media companies in India from larger one to smaller one. Fundoodata provides advertising, media companies database including event management, newspaper, product, distribution, equipment, TV cable, broadcast and network. Chemical Industry comprises companies that is involved into the production of industrial chemicals. It includes agro chemicals, chemical machines, industrial chemical, paints adhesives, plastic rubber, resins, polymers. Fundoodata provides database of all types of chemical companies. Construction Industry is contributing a lot in growth of Indian economic center. It is creating lots of investment opportunities across various sectors. Many other sub industries come under construction companies including bathroom accessories, construction engineering, construction machinery, estate services, glass accessories etc. The role of consulting companies is everywhere. The different types of consulting firms are strategy, operations, tax, finance, HR, or IT and business consultants. Fundoodata provides database of various types of consulting companies including engineering, law, legal, placement, HR and training. Courier and logistics are regarded as backbone of Indian economy. It ensures the cost effective and smooth flow of goods and other commercial sector. Fundoodata provides the complete database of courier and logistic of all top Indian cities including Delhi, Mumbai, Chennai, Gurgaon etc. Banking, Financial services and Insurance (BFSI) is an industry term for companies that provide a range of such financial products/services such as universal banks. BFSI comprises commercial banks, insurance companies, non-banking financial companies, cooperatives, pensions funds, mutual funds and other smaller financial entities. Fundoodata provides all types of BFSI database including Banks, Financial Services, Mutual Funds, Stock Brokers etc. It is hugely growing sector in India. There are many big giant into this sector as well as small players. Small players are dealing into niche such as gift, toys, fashion etc. While giant companies like flipkart, amazon are the big players of this industry. Fundoodata provides information about all types of ecommerce companies. The engineering sector is the largest of the industrial sectors in India and can be broadly categorized into two parts, namely, heavy engineering and light engineering. It has emerged as the largest contributor to the country’s total merchandise exports. Capacity creation in sectors such as infrastructure, power, mining, oil and gas, refinery, steel, automotive, and consumer durable are driving demand in the engineering sector. The sector has a comparative advantage in terms of manufacturing costs, market knowledge, technology and creativity. If you are looking for engineering company database then Fundoodata can help you best. Import and export trade today affects almost every person in the world. It enables each country to make the best use of its most abundant resources. The trade involves the building of offices or plants in foreign country, sending technical or other specialists abroad and expand the distribution of product into international market. Fast-moving consumer goods (FMCG) or consumer packaged goods (CPG) are products that are sold quickly and at relatively low cost. These products include packaged foods, beverages, over-the-counter drugs and many other items. 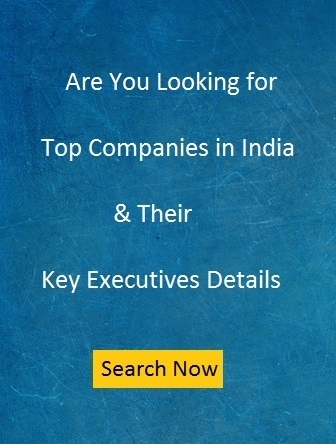 Fundoodata provides Food, FMCG companies database of all cities with key executives contact details.